...and right before my eye's, I have a studio! We moved into our new home around the end of August and Joey and I quickly made the decision that I could not pot in the new garage. 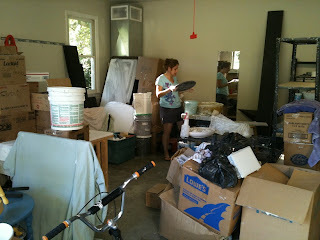 I didn't trust myself with the clean up or having the kiln in there so we quickly got into the car that weekend while the house was still overtaken with boxes, and we ordered a barn. 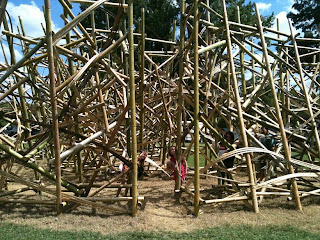 It only took a week to get the building permit and figure out how big it needed to be. ( This is 16X16 with a concrete pad off the back for my kilns.) 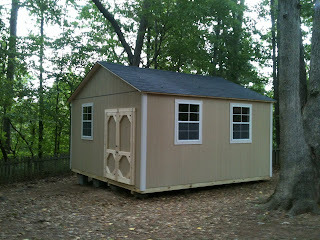 The workman showed up yesterday at 8am, completed it a 8pm and constructed the entire building on site. It was pretty amazing to watch. So now we have the electrical, water, dry all, caulking, paintings and all the other stuff that needs to be done but I still can not believe me eyes that it is there and its my own space. How did that happen??? 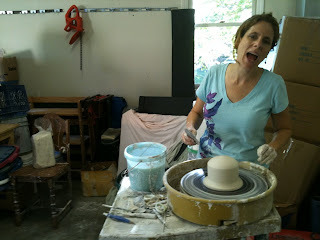 Last weekend the girls and I went to the NC Potters show/sale at the Mint Museum of art. In all the years its been there, I have never had a chance to attend. 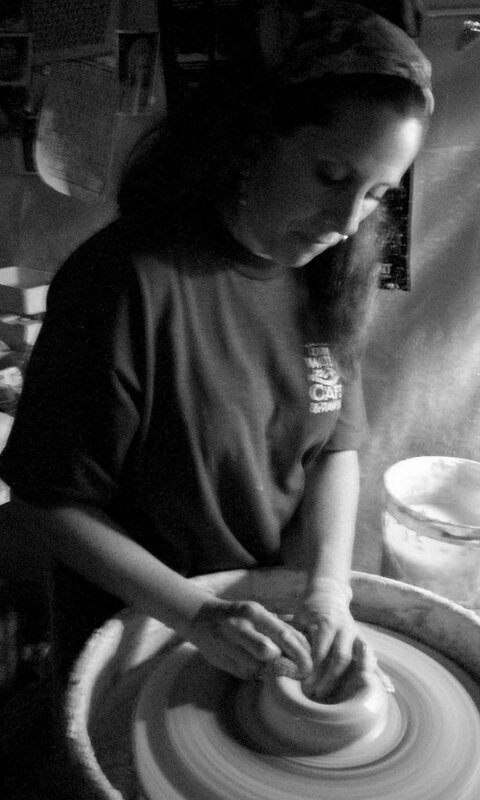 There are alot of great potters that do that show and hopefully now the I live in NC, maybe one day I'll get asked to do it as well. 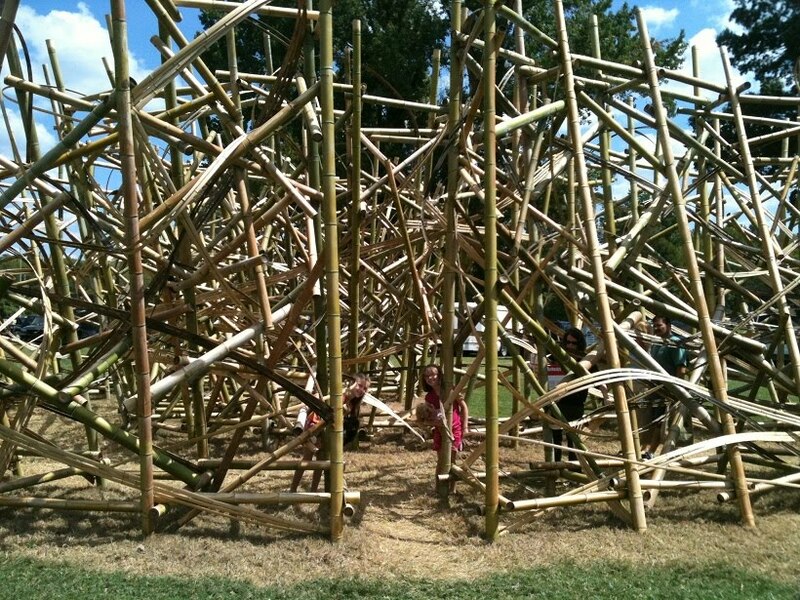 Here are the twins standing in this huge bamboo maze built near the Mint on the green. It was sort of hot day so I had to do the quick pottery tour and I also managed to buy and lovely Shino mug from Bruce Gholdson. Years ago when I worked at Cedar Creek I use to drull over his Shino pieces but never had the money to buy any. Fifteen years later, he's making some shino pieces again so I grab a mug! Next weekend the Thrown Together Crew will have our annual Fall Sale. My boss, Jim Connell and his wife Paula Smith will be out quests along with a former college from Clayworks - Allyssa Woods. I won't have a lot of pots for sale but some. I'm allowing myself a little "slack" in that departments since I spent the summer packing and moving. For more information on the sale you can check out our page on Facebook. You all have a great September and I'll try to post more photo's of my studio during the process of getting it up and going. Very exciting times here at the Jen Mecca studio! 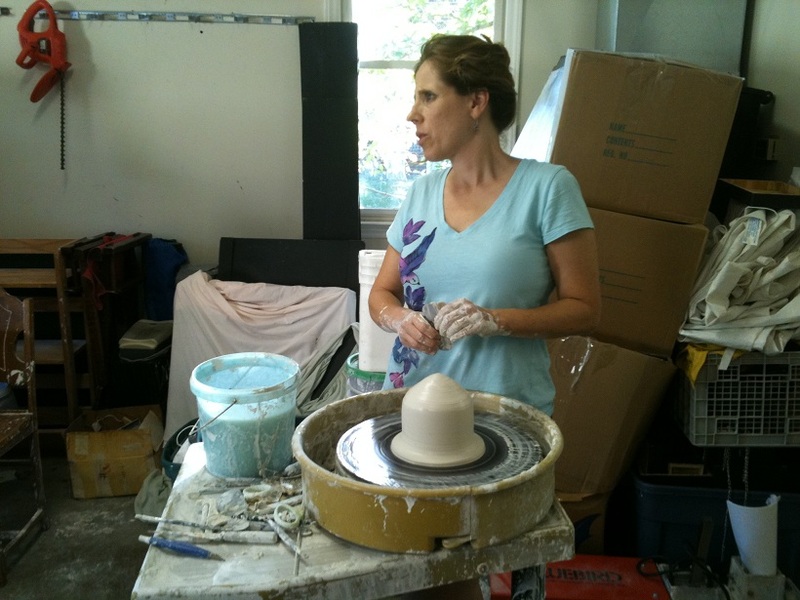 The date says September, but this post just showed up on my reader, hope all is well and you're potting away in your new studio, Happy New Year to you and your family. 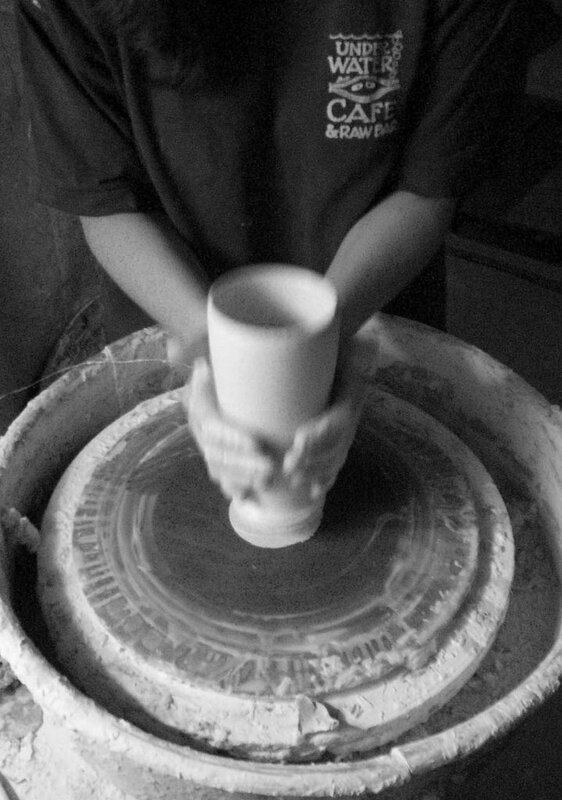 We are manufacturers of quality clay pottery at most economic rates from Pakistan. Plz support my blog Jennifer. Personalizing custom coffee mugs is an easy task. There are shops available which will help you to write your name on those mugs. It is important to carry out some ground works before going to the shop.